….start your wildlife adventure here in Svalbard. Come join us AdePhotography and the folks at "See & Explore" on this amazing photo adventure of the very best of Wild Winter Svalbard. we travel through truly breathtaking rugged scenery to some of the most amazing wildlife locations in Svalbard, giving you the opportunity to witness the drama of Arctic winter wildlife and capture stunning images. 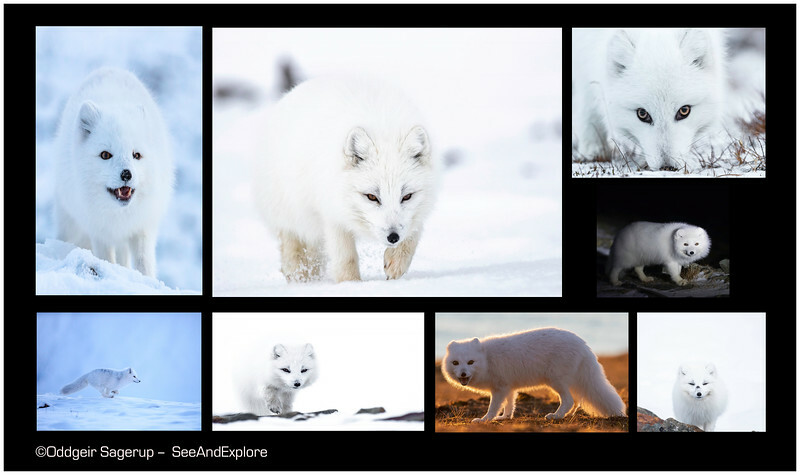 Our primary focus is The Arctic fox (Vulpes lagopus). If we are lucky we will have encounters with Reindeer and Svalbard Rock Ptarmigan - which all make fantastic photo opportunities. Come see the beauty of the Svalbard rugged terrain. 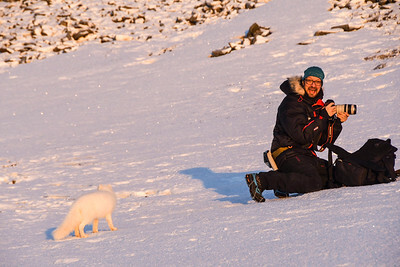 4 Day Photo Adventure - Wild Winter Svalbard. With "See & Explore" Photographer And Polar Guide Oddgeir Sagerup. Arrivals: Please ensure your flight arrives in Longyearbyen on or before the 29th March. Cost: NOK 20,000 per person / Excludes Hotel Accomodation. Note: Price is in Norwegian Krone. It is imperative you ensure your flight arrives in Longyearbyen at least a day before the start of the tour. During the tour , the average temperature in Svalbard will be in the single low digits to sometimes well below freezing . • Internal transportation to wildlife locations. Ample space for all ! •	All location admission fees. •	Your flight / transportation cost to / from Longyearbyen International Airport. •	Hotels Accomodation and costs during the tour period. • Costs of meals / beverages . • Participants to make their own arrangements for Hotel accomodation. Will we be traveling in rural Svalbard , where limited medical facilities will be available, please ensure you bring any needed medication along.